Dr Blanchard is a lecturer for the Animal and Zoology Science undergraduate courses. He currently teaches Animal Genetics, Zoo Conservation Genetics, Animal Reproduction and Breeding, and Management of Reproduction in Zoo Animals. He is also course leader for the MSc in Animal Health and Welfare, the MRes courses in Animal Health and Welfare and Anthrozoology and PGDip in Animal Health and Welfare. Dr Blanchard graduated from Nottingham Trent University in 2006 with a BSc (Hons) in Animal Science. He was then a research assistant at the University of Nottingham prior to completing his PhD in the functional annotation of the bovine pathogen Streptococcus uberis in collaboration with Zoetis. This project saw him develop a keen interest in production animal health and welfare and bioinformatics. His first post-doctoral role was a BBSRC funded project relating to the host pathogen interaction of sheep and the disease causing pathogen Dichelobacter nodosus. This enabled Dr Blanchard to develop his computation skills in metagenomics and transcriptome sequencing. 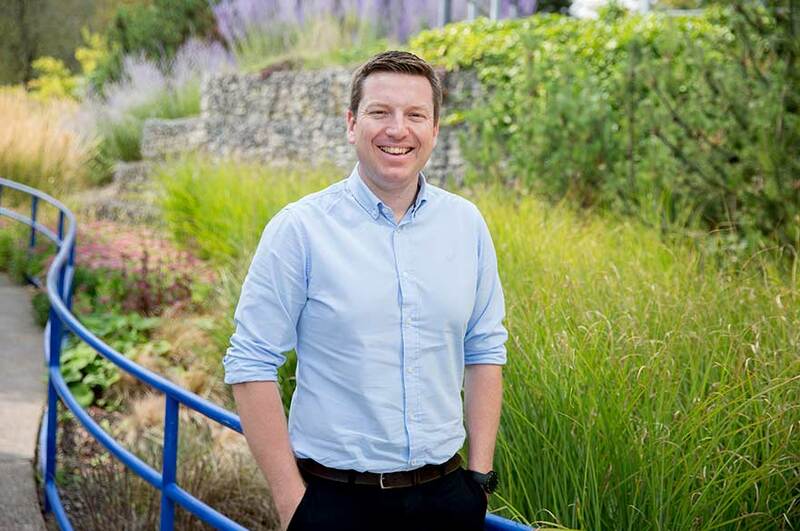 He is now a lecturer in genetics and hopes to incorporate his research interests into the delivery of the genetics modules to undergraduate animal and zoology science students. Dr Blanchard’s research focuses on many aspects of animal health and disease. With particular interests in host pathogen interactions, microbial communities and antimicrobial resistance. He also specialises in bioinformatics, working with data generated by all modern sequencing technologies. He currently works with national and international specialists in production animal disease, with a focus on sustainability, and is expanding into exotic and companion animal health and welfare. Current projects investigate contamination of aquaculture systems with antibiotics and heavy metals, essential genes in various production animal pathogens and the effect of stress on the gastro-intestinal health and the microbiota. Dr Blanchard is currently a review editor for Molecular Bacterial Pathogenesis as part of the Frontiers in Cellular Infection and Microbiology journal. He also regularly reviews for Nature, BMC and PLOS journals. Dr Blanchard has an extensive international collaborator network with projects involving academics at Griffiths University in Australia, University of Prince Edward Island in Canada, Universiti Malaysia Kelantan and the University of Eldoret, Kenya. Within the UK, he works closely with academic colleagues at the Moredun Institute, Edinburgh, Oxford University and The University of Nottingham. He also has close contacts in specialist veterinary referral centres for work that has impact for companion animals.